After a poor night’s sleep, there is a good chance that you’re going to wake up feeling groggy and lazy. You’re going to need something that is going to perk you up. For many people, coffee will be the solution their lethargy. In the past, making a cup of coffee was a time-consuming process. Today, it is possible to complete the procedure within a matter of minutes. All you need to do is equip yourself with the right coffee machine. Within this in-depth guide, you will discover tips for selecting a machine that will save you time in the long run. First and foremost, you should learn a little more about the different types of coffee machines. You can choose between instant, espresso and bean to cup. Bean to cup models are very easy to use and they’re immensely versatile. These machines will contain a push button, so they’re generally easy to use. Espresso machines require a little more effort on your end. Nevertheless, they’re a good choice for those that want a unique cup of coffee and high-quality results. If you’re looking for the most convenient option of all, you should go with an instant machine. This type of machine will require limited assistance from your end. Instant machines won’t deliver the highest quality products, but they’ll get the job done quicker and easier than the alternatives. Another thing to consider is the size of the machine. This might seem like a minor factor and you might not know how it is going to make a difference. In reality, the size will make a big difference. If you want to be able to make coffee as quickly as humanly possible, you need a machine that can remain on your countertop at all times. If you’re required to stash it away under the cabinet, you’re going to have to pull it out and plug it up each time you want to make a cup of coffee. By leaving the machine on your countertop, you’ll get your coffee just a tad bit quicker. While you’re at it, you’ll want to make sure that you choose a machine that is equipped with an auto shutoff feature. This feature will prove to be immensely beneficial for numerous reasons. First and foremost, you need to remember that you’re in a hurry. There is a good chance that you’re going to rush out the door and forget to shut the machine off. This will not happy with an auto shutoff. Secondly, you should know that this feature will give you the ability to turn on the machine and go shower. Once you’ve cleaned up and have gotten ready for work, your coffee will be ready to go. You should know that the thermal carafe is the component that helps to ensure that your coffee remains hot for as long as possible after brewing. You can choose between stainless steel and glass carafes. Either way, the carafe will ensure that the heat remains stuck inside of the pot. This is important, because it ensures that you can make a coffee in advance and drink it a short time later. This is great for people that need to complete several tasks in the morning. Stainless steel models will usually be able to keep the coffee warm for 60 minutes. Glass options will last for 20 minutes. If you drink a lot of coffee, you’ll already be aware of the fact that brewing time is absolutely essential. After all, this is what helps to ensure that the coffee is delicious. If you want the most lightning fast brewing time and the most delicious taste, you should check out the best Nespresso machine reviews. With conventional drop coffee machines, you’re probably going to have a brewing time of five to ten minutes. With a French press coffee maker, the brewing time will be under five minutes. The most advanced machines will be much quicker. 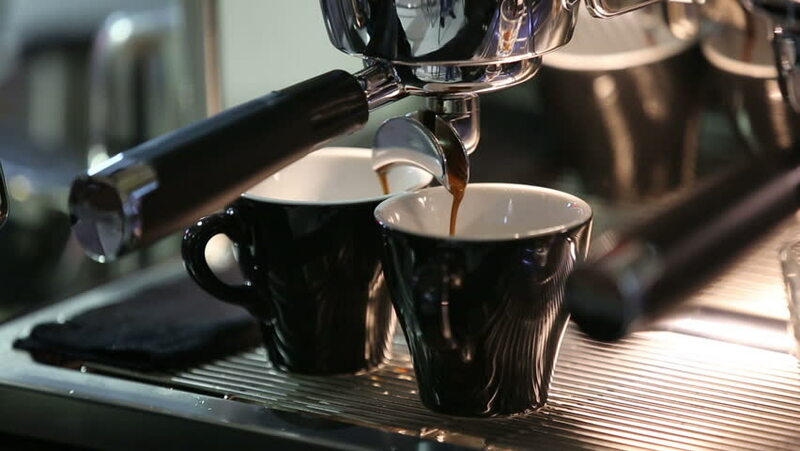 Espresso machines can often provide you with a delicious cup of coffee in just 20 to 30 seconds. To ensure that you’re able to get your cup of coffee as quickly as possible, you definitely need to pay close attention to the brewing time!